As winter is here the Pioneers are all gathering around the campfire and telling tall tales of legendary animals to be found in the untamed wilds of the Frontier. 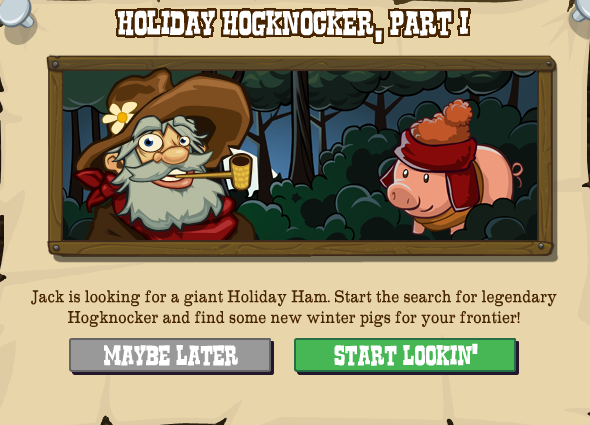 None is more recognised at this time of year than the Hogknocker, a winter pig that can grow up to be the size of a bear! 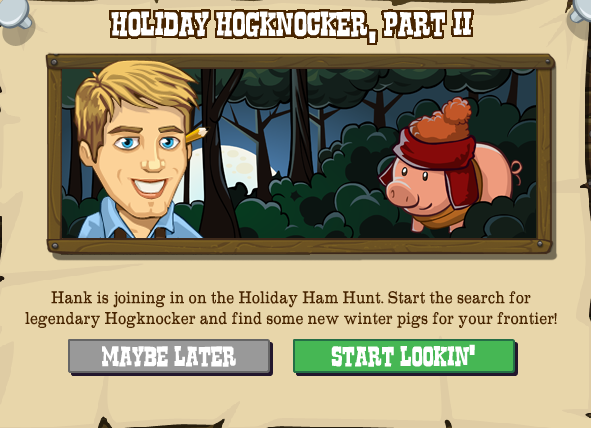 The second mission, release TBA, is with Hank and also primed for Level 22. 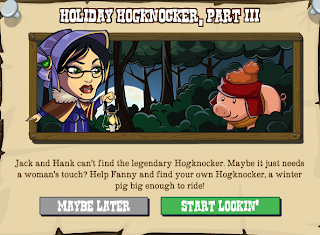 But if you've had a little more experience in the Frontier world (Level 90+) then it's time to team up with Fanny for a special third timed mission to be released after 1 and 2 in the future and this one is a DOOZY. 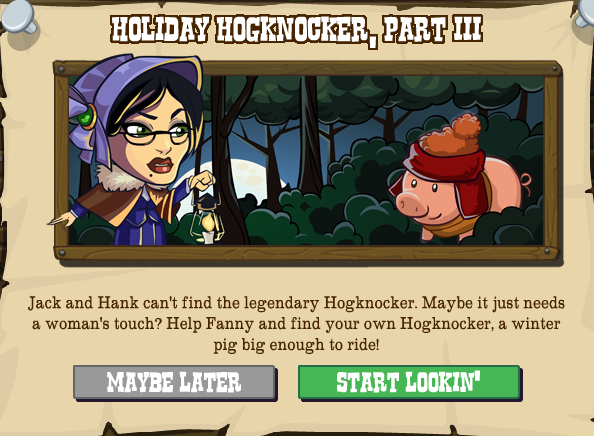 Completing this mission will get you a massive 25k of experience (a minimum of a quarter of your Level bar), a crate AND that most rare of beasties... the rideable Hogknocker! 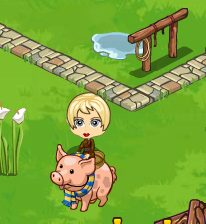 The crates and the animals, when tended, will drop items from the Hogknocker collection. Let us know what you think of the missions on our Facebook Page.